Terry Eagleton, Elinor Taylor, Jacob Soule, Patrick Parrinder, and others on the life and work of Raymond Williams. 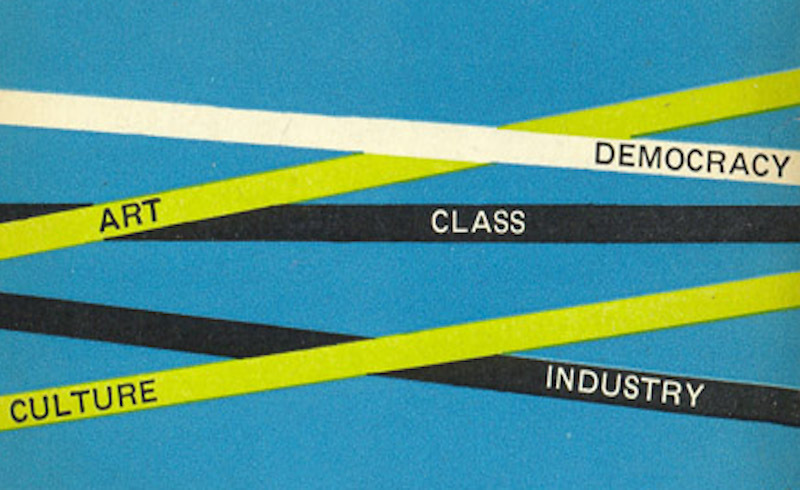 Detail from the cover of Culture and Society 1780-1950 (Pelican, 1962). First published by The Raymond Williams Society in two parts. When I visited Raymond Williams in Saffron Walden in late December 1987, he had been laid up for several months with a painful but curable illness (not the one from which he died). His talk, however, was vigorous and forward-looking. We spoke of the research that he and his ever-supportive wife Joy had done for a major historical novel, People of the Black Mountains. Then we laughed over the paperback reissue of his first novel, Border Country, with the old signalman, Harry Price, on its front cover: the artist had endowed Price with Williams’ own unmistakable features. That now seems painfully close to the mark. In the novel, Price was shown dying from a series of strokes. On 26 January 1988, Williams suffered a fatal heart attack. Williams was first and foremost an innovative thinker. He is at his most rigorous and subtle in a work of intellectual history such as Culture and Society, but the same habits of analysis are there in his journalism and political pamphlets, as well as in books he produced when, rather late in his career, he set out to re-equip and re-train himself as a Marxist theorist. There were complaints of the fog of abstraction in some of his writings, but at their heart there was always the same fund of experience, the same passion and the same anger ("I must show you, sometime, the code for anger," he once wrote to me). "The central socialist case, in matters of culture," he declared in a 1985 Guardian Lecture, "is that the lives of the great majority of people have been, and still are, almost wholly disregarded by almost all arts." Here we are close to the roots of his anger, but it was rarely expressed directly. His characteristic tone is almost fastidiously level and reasonable. What we invariably come back to in Williams — whether he is debating the issues of literary theory, or advocating a new structure for broadcasting, or writing a pamphlet on nuclear weapons — is his commitment to the political and cultural struggle for extending democracy. That was the point of his arguments for a "common culture" in Culture and Society and its sequel, The Long Revolution. What was it like to be taught by him? At the time I was most struck by his gentle encouragement and dry humour. Later, I recognised his inner determination and formidable strength of will-power. He became an intellectual father-figure to thousands. Since he died, people who barely met him have told me that their own work had been done with Williams as an ideal audience somewhere in mind, to earn his approval. When, as an undergraduate supervisor, he was there as your actual audience he would settle in his deep college armchair and begin by fiddling energetically with his pipe. Once this was going to his satisfaction, he would listen to you with an air of calm so profound that you began to wonder if he had dropped off to sleep. When you came to the end of your essay the pipe would be refilled, and he would spell out with marvellous clarity just where your argument was going, how it could be deepened, and how extended. He didn’t miss a thing, and the essence of his teaching was to convey the impression that, however much you were learning, he was learning something too. Patrick Parrinder’s PhD on H. G. Wells was supervised by Raymond Williams in the late 1960s. He is an Emeritus Professor at the University of Reading, and his latest book is Utopian Literature and Science (Palgrave, 2015). It took me longer than it should have done to read Williams. When I did, though, it was initially a personal revelation. I came from a Welsh village in a valley near the English border, historically a farming community, then a quarrying community; never really industrialised; never fully modernised. I come (unlike Williams) from a Welsh-speaking family in which it was ordinary to read, write, play music, sing, draw. Elderly relatives, who spoke only Welsh as late as the 1980s, lived as subsistence farmers; yet many of them wrote and some published. When I got to university, I was surprised (and, variously, confused and angry) to discover that these things were unusual, and were read in class terms I didn’t recognise, both by students I met and in the left-wing political circles I joined. My background seemed politically irrelevant, out of time somehow; embarrassing. "Culture is Ordinary" made sense of why it made sense — of why it wasn’t an anomaly or a symptom of something, but a lived reality. The force of that stays with me. The community I come from is gone, really, and the history often feels, walking from the West End where I now work to Bloomsbury, for instance, like something from another world. But my life has been and is criss-crossed by those — ordinary, difficult — patterns and movements of prestige and cultural value. In the British Museum, where I often go when I have time, I can look at the Mold Gold Cape, dug up by quarrymen in 1833 a few miles from where I grew up; and I’m inclined to think about the coincidence of looking at it here, a long way from home. We don’t know what meaning this extraordinary object held for the Bronze-Age culture that created it; but then again, we don’t know what the quarrymen thought either — and that’s a silence that Williams provokes you to hear. Not that London demands much thoughtful movement between senses of culture; its masses of symbolic power literally are shadowed by unmistakeable marks of classed and racialized violence; it was only by luck that none of my students were directly affected by the Grenfell Tower disaster. Had it happened a few miles east, in Tower Hamlets, where I live, this story might be different. The force of "Culture is Ordinary" isn’t often felt by my students, though. At one level that’s probably because the tension between those two senses of "culture" isn’t felt as acutely. It isn’t resolved, more that a compromise between them has been effectively institutionalised. And what about those institutions? When I turn back to Williams now, it’s for his thinking on institutions, education and democracy, as I try to imagine what living and thinking and feeling (and working and teaching) in a democracy might be like. That democracy is in crisis is repeatedly stated, but "democracy" often only means the defence of a certain kind of civil public discourse against far-right incursions. What’s excluded — nervously passed over or not even imagined — is the experience of democracy, of having a shaping influence over your own life. And surely many of us feel we live between and not within structures of democracy. I have set some of Williams’ writings on these problems on a module on literature and institutions. I’m pleased to be allowed to open certain truisms — about education as an individual good, for one — for critical discussion; but worried, too, about devaluing a hard-won and expensively acquired opportunity. Which is to say I worry about discussing democracy, provoking democratic desires, in institutions that can’t welcome those feelings. It can seem like an empty gesture. But difficulty is ordinary, and even as I suppose it might reduce him to a merely "ethical" figure, it’s Williams’ work that reminds me it’s not good enough to do otherwise. Elinor Taylor is a lecturer in English at the University of Westminster and a member of the executive committee of the Raymond Williams Society. She is the author of The Popular Front Novel in Britain (Brill, 2017). My earliest encounter with Williams’ writing was reading Culture and Society as a first-year undergraduate beginning an English degree at Oxford in 1978. It was an odd time to engage with the work of one of Britain’s foremost socialist intellectuals, since May 1979 saw the election of Thatcher and the beginning of the long hard defeat of the Left. None of us at that point foresaw the scale of the political and intellectual losses, although, typically, Williams quickly understood the dangers and articulated them in Towards 2000. In any case, Culture and Society allowed me to make some sense of what I was studying, but more importantly, it enabled me to see the possibility of an alternative, critical, sceptical, radical viewpoint in a context that felt deeply hostile in many different ways. But if Culture and Society was my introduction, it was the chance reading of The Long Revolution and, soon after, Keywords that led to a serious engagement with William’s thought. Keywords in turn brought me to Marxism and Literature, perhaps the most complex but most important text that Williams produced. After my PhD viva, for which Williams was the external supervisor, I told him that I’d found the language chapter in Marxism and Literature enormously difficult but very helpful; he laughed and said "same here." I’d thought that being viva-ed by Williams would be a daunting experience; it wasn’t helped by the fact that the viva itself was held in "Resuscitation Room No.1" in the old Schools building in Oxford (the place had been kitted out as a military hospital in World War Two). The viva began with Williams taking off the gown and white bow tie that Oxford insisted on as part of the ridiculous "sub-fusc" clown’s outfit that examiners and examinees wear. When I started to do the same, the Oxford internal examiner said "I don’t think you can…," before being silenced by a quizzical look from Williams. At which point, he winked at me and began summarising the thesis, evaluating its strengths and weaknesses, where it needed to go… After a while, he invited the internal examiner to chip in; he pulled out a list of typos and began going through them, before stopping at another look from Williams. "I think we can deal with that later," Williams said, "let’s take the opportunity to have a serious discussion, there isn’t much time." We talked for a long time about a series of issues — "Standard Language" (the topic of the thesis), the politics of language, literature and the representation of language, the meanings of words and their cultural and political significance. Williams was right, there wasn’t much time; he died a couple of years later. But during that viva, and in correspondence afterwards, I was lucky enough to engage with a serious intellectual who was deeply committed to radical politics and who was generous enough to take my own work seriously. My abiding memory of the man is not his authority (which he wore lightly), nor his seriousness (which he leavened with humour), but his easy confidence in his political position. Would he have been as confident if he had been aware of the political set-backs that were to follow from the destructive onslaught of neoliberalism that began in the late 70s? I’ve no doubt that he would have sustained the same mode of patient, measured, complex, and — yes — confident political critique that can be found in all his work. Perhaps that is his most important legacy. Tony Crowley is Professor of English at the University of Leeds; he has taught at a number of universities in the UK and the US; his latest publication is The Liverpool English Dictionary (Liverpool University Press 2017). Sixty years on from its publication, I teach "Culture Is Ordinary" in a post-’92 university with a predominantly working class intake. Students often respond powerfully to Williams’ humanistic interrogation of class, culture, and education. Some feel so sharply the distance that an institutionalised education in the humanities has put between them and their background that more than once I’ve had to work out how to manage deeply personal soliloquies in seminars. Pedagogically this is all to the good. It’s an opportunity to bridge the ideological gap between personal experience and social determination that avoids the individualising moralism of much contemporary identity politics. During my own undergraduate years, I was fascinated by the legacy of movements like dada, surrealism, and futurism. A sympathetic lecturer nudged me in the direction of Williams’ essay "The Politics of the Avant-Garde" and I read it with interest. But at the time, I was more taken with the esoteric aphorisms of a Debord or the high-mindedness of a Marcuse. By contrast, the calm analysis of the scholarship boy from the border country did not immediately grab me. As my research developed, this would change. Especially as I turned my attention to British post-punk, I found the theoretical tools of Williams’ later work indispensible. Cultural materialism may not seem the most obvious method for such a topic. But I’ve found no other approach that combines political commitment so effectively with the possibility of mediating between cultural form, production/reception and historical conjuncture. It wasn’t only Williams’ theoretical work of the 1970s and 1980s that proved useful. Towards 2000, his critique of early Thatcherism, fits the post-punk period like a glove. In it, Williams offers an alternative emphasis to Stuart Hall’s more pessimistic take on the same moment, continuing to insist on the possibility of political alternatives rather than counselling adaptation to a new hegemony set by the right. I drew on this argument to point out that post-punk was not purely "crisis music." Before its incorporation into a neoliberal structure of feeling, post-punk’s DIY challenge to the music industry demonstrated the possibility of a democratically managed, egalitarian economy. Its countercultural attempts to live life differently offered up an alternative vision to the alienating, unsustainable consumerism of late capitalism. Both features are what Williams would call "resources of hope." This emphasis is especially valuable and relevant for the present. Beneath its deceptively moderate surface, Williams’ work is just as transformative as other cultural theory in the Marxist tradition. Our current conjuncture requires exactly this combination of patient realpolitik combined with a utopian belief in the possibility of a world transformed. David Wilkinson is Lecturer in English at Manchester Metropolitan University. He is the author of Post-Punk, Politics and Pleasure in Britain (Palgrave Macmillan, 2016). I chaired a packed Cambridge Campaign for Nuclear Disarmament (CND) meeting in the big Mill Lane Lecture Theatre in 1963 on Nuclear War — the panel of speakers included George Steiner, lawyer Bill Wedderburn, economist Charles Feinstein, and Raymond Williams. Undergraduates Stephen Hawking, Terence Eagleton, and Merryn Williams were in the audience. My CND activism may have helped but it was more, I think, earlier work experience on British Railways when I left school aged 15 (I spent several years in the Control Office at Crewe Station) and my Welsh connections (I gained a Cambridge "mature student" bursary from Coleg Harlech) that led Raymond to agree to supervise my final English Tripos exam in 1964/5. This gave me privileged teaching in weekly hour-long sessions usually on my own, adding to his work load because I was from another college. He was an exceptionally good teacher and, aware of my exam phobia and weaknesses, he paid attention to Tripos requirements giving me timed essay exercises. We spent most of the hour each week, though, discussing everything from Greek Tragedy to the latest TV play by Pinter. Lively and exhilarating debate! This meant I got to know Raymond well especially a decade later when I was Workers’ Educational Association (WEA) tutor-organiser working full-time in Bedfordshire and he agreed to supervise my Open University (OU) PhD. We kept in touch, with direct contact renewed from 1979 when I was Warden/Principal at Wedgwood Memorial College (WMC) organising residential weekends on Williams themes such as The Long Revolution, gaining adult student participants from all over Britain. Raymond knew WMC well from his early Oxford WEA teaching days and he continued to give support to the WEA and the Adult Colleges through his working life and into retirement. A week before he died in 1988 I received a note from him apologising for not being able to meet our deadline with an article for the WEA’s struggling journal Workers’ Education (circulation: 300 copies). Tiny, but typical. Immediately following his death, a Mary Joannou Cambridge initiative established the Memorial Fund helping adult students attend WMC and WEA courses. In May, Joy Williams planted a Welsh Oak tree in his memory within the College arboretum and, on the same weekend, the OU’s Graham Martin discussed plans for Raymond Williams Society (RWS) collaborations. Raymond’s wife, Joy, attended several RW weekends before she died. A little later, his daughter Merryn and Graham taught on an Abergavenny Raymond Williams Foundation/RWS People of the Black Mountains residential, with Merryn guiding the group, following the protagonist’s grandfather Elis’ mountain track route … and Graham gave a key-note lecture on Welsh-European history and cultural themes from the novels. The Raymond Williams Memorial Fund gained a bequest of £200,000 from WMC/WEA student Dudley Pretty in 2003, the year of my retirement, augmenting the tiny RWMF to establish the Raymond Williams Foundation (RWF) from 2008. Since then we have been able to organise and fund the many events and organisations as reported in detail on the RWF website (http://www.raymondwilliamsfoundation.org.uk/), underlining and extending the enduring relevance of Raymond’s life and work. Derek Tatton is a former RWMF and RWF Administrator, a former Chair of the RWS and now a RWF Trustee and Adviser as well as a RWS Committee Member and Trustee. I learned at least as much morally from Raymond Williams as I did intellectually. He was gentle and generous, with an air of natural authority, and looked more like a countryman than a don. He had a dry sense of humour, but certainly couldn’t be described as witty or funny. His warm-heartedness made one imagine that one could get close to him as a person, which was not really true: his geniality was combined with a certain remoteness and detachment, and he never really involved himself wholeheartedly with the teaching of students, much to the frustration of some of them. As long as one recognised that there was a core to him that could not be reached, a friendship with him could thrive, as it did between the two of us. If one looks at Dai Smith’s biography, some of his colleagues in Adult Education seem to have found him modest and gregarious, while about as many others found him distant and ambitious. What mattered above all to him, after his family, was his writing, which he knew without a whiff of arrogance was unique and of world-historical importance. He wrote a good deal more than he read, and seemed reluctant to acknowledge sources or influences. He was not a man for footnotes. It was all somehow picked from his own experience. He also had a remarkable feel for material processes — for work and landscape, agriculture and dwelling places, forest tracks and the working of machines. All this meant that he was never really at home in academia, though this didn’t matter to him much, since he was so solidly centred in his own exceptionally self-assured identity. He despised the ruling class, but wasn’t in the least daunted by them, and knew how to play the game (saying Latin grace at college High Table, for example) when it was expected of him. As for his influence today, it strikes me as having for the most part disastrously dwindled as political times have changed. When I offered a piece on him to the Guardian a few years ago, the highly literate young journalist on the other end of the phone said "Er – remind me." Terry Eagleton is Distinguished Professor of English Literature at Lancaster University. His books include Literary Theory (1983), The Ideology of the Aesthetic (1990), and Why Marx Was Right (2011). It is difficult to write about Raymond Williams. He has become the source of a powerful personal and generational nostalgia, an enticement to an autobiographical mode in which old friends, ex-students, or those — like me — who are too young to have met him but have discovered in his work ways of understanding themselves, share memories or personal encounters that bear witness to the emotional and emancipatory potential of his life and work. The danger of this mode is that it risks condemning Williams to the very residuality he sought expressly to avoid, not least by limiting his work to its emphasis on lived "experience" whilst eliding a whole range of his more unusual, and perhaps more original, political and theoretical innovations. Williams conceived of historical temporality as an immanent, self-conscious traditionality combining a boundness to the past with a capacity consciously to select new traditions, or rediscover marginalised lines of inheritance, in the process of building democratic futures. To confess, then, that reading Williams’ account of the stylistic disjunctions of Thomas Hardy’s prose was a personal epiphany for me, a moment of profound recognition of the ways in which capitalist class divisions become internalised deep in the minds of those who shuttle back and forth across the "borders," is nothing but residual anecdote if it cannot be connected to the present in a way that critically opens it towards a determinate future. To write about Williams, as about oneself, is thus to have to invent, in language, a way of becoming conscious of the profound social and personal processes that are woven into the very fibres of our being, of tracing their unexpected connections, and yet of holding them at bay so as to enable critical thought — a thought whose very distance from the immanence of everyday life risks becoming the index of an unacknowledged, and soon habitual, alienation. Williams returns repeatedly to this dual problem of language and relationship. Hardy’s awkward shifts between learned and customary diction — literary formalisations of opposing class habituses — re-emerge in Williams’ studies of naturalist drama, in which the convention of verisimilitude limits the linguistic range and metaphorical intensity of dramatic speech at moments of crisis; where stylistic augmentation is achieved, it risks a comic bathetic return to mundanity once the verisimilitude of everyday life kicks back in. I suspect the notoriously clunky and occasionally mystical dialogues in Williams’ own novels are so many attempts to resolve this formal problem, which is also a problem of social relationships. What is astonishing about Williams’ critical prose, however (as Terry Eagleton long ago identified), is that it seems most intimate, most closely in touch with the difficult and painful demands of everyday experience, precisely there where it broaches seemingly "abstract" matters such as ecology, work, or communication systems. His very style is an allegory of the immanence of critical thought to social life that is a basic precondition of socialist democracy. It is a hard-won personal and political achievement that we, in our own ways, must learn to inherit. Daniel Hartley is a Postdoctoral Fellow in the School of Languages, Cultures, and Societies at the University of Leeds. He is author of The Politics of Style: Towards a Marxist Poetics (2017) and a member of the comité editorial of the French online journal of Marxist theory Revue Période. I met Raymond Williams a couple of times in the late-seventies. The first occasion was immediately following his talk, "Realism and Non-Naturalism," at the 1977 Edinburgh Television Festival, in which he sought to reconcile together the contrary views of Brecht and Lukács. Afterwards, albeit in awe of the great man, I cornered him and asked what he thought of Roland Barthes’ argument that bourgeois ideology naturalised history and whether or not incorporation of this proposition might improve his own argument expounded earlier in the talk. Unfazed by my cheekiness, he invited me to accompany him along to the British Film Institute lunch for a "bottle of beer." At the lunch, Raymond told me and some others about the interviews that were currently being conducted with him for New Left Review (which were later collected together in the Verso volume, Politics and Letters). He complained that the NLR interviewers seemed to know everything he had written in detail, much of which he himself had forgotten all about. Now, he realised it was necessary to reread his own stuff in preparation for each successive round of interviews in the future. The following year, I accompanied Trevor Griffiths over to Cambridge where he had been invited to deliver the English department’s annual guest lecture on drama. When we arrived, we found Jack Shepherd there already. We duly trouped into the lecture theatre where Raymond chaired the session whilst happily puffing away throughout on his pipe — this was 1978. Trevor, who was a chain-smoker himself, did not actually smoke during the lecture but stretched out for Raymond’s lighter once he had finished speaking. Jack and I were sitting in the front row. Both of us looked around at the audience to get a sense of how Trevor’s lecture had gone down. We were surprised to see audience members looking aghast and with some of them screaming. The lecture had been okay but not that extraordinary. Then, I looked back and saw Trevor’s hair was on fire. When he had turned on the lighter for his cigarette, it had flared up and caused a conflagration on his cranium. Raymond was busily patting him on the head in a desperate attempt to put the fire out. Everyone had a good laugh. Later that evening, I had the opportunity to resume my interrogation of Raymond Williams. To conclude this reminiscence, then, I must say that I personally found Raymond Williams a very warm, amusing, and self-ironising person. And, I was amazed that he was prepared to spend so much time talking with a scruffy and impertinent postgrad such as myself. Jim McGuigan has just written a book for Polity entitled Raymond Williams – Cultural Analyst which comes out this year. His book Neoliberal Culture was published by Palgrave in 2016. I don’t remember my first encounter with Raymond Williams’ work. For a long time I was only dimly aware of "Williams" as a sort of kindly eminence in the world of literary critical studies — someone to pay deference to with passing reference, rather than to actually read and debate. Curiously, it took moving to the States to ignite a serious engagement. This was owing to the fact that as I embarked on my PhD I felt compelled to read the then relatively recent explosion of debate around reading methods — surface versus depth, description versus interpretation, new materialism versus historical materialism, etc. Apart from the astonishment at witnessing a discipline facing acute real-world crises tear itself apart over its own shame at a supposed legacy of over-interpretation, I, like many people around me, found the debate woefully lacking in any kind of nuance around the binaries it set in motion. It was around this time that I started to look seriously at Williams’ work as a way out of this narrowly academic impasse. For me, a reassessment of Williams’ "cultural materialism" could help reframe the questions surrounding literature’s relationship to its social and historical contexts that contemporary critics were struggling with all over again. This wouldn’t mean importing Williams’ ideas into the present debate as a "gotcha" moment, designed to settle disputes once and for all. Instead, it would have to involve revisiting Williams in his own context, particularly the debates between the so-called "culturalists" and "structuralists" that took place within Marxist intellectual circles in the 1970s. Althusser, accused by the culturalists of reducing cultural experience to ideology without remainder, was of course the central bogeyman in these arguments just as he is today. "paranoid" seems to me to be intuitively wrongheaded. I think the important thing to remember is that in Williams, things aren’t "hidden" or "repressed" in texts. Because there is the insistence throughout his writing that literature is indissolubly part of the total social process, literary effacements are as much a material element of the text as anything else. This always struck me as somehow different to any notion of a textual "unconscious," currently so unfashionable in literary studies. Perhaps, then, we can look back at Williams with something other than mere nostalgia, but with a sense that the problems and questions he put forward — rather than any concrete solutions — can save literary studies from falling back into false oppositions. Jacob Soule is a PhD Candidate in the Program in Literature at Duke University, North Carolina. His current project focuses on the relationship between urban theory and contemporary fiction. Raymond Williams was all too clearly a major critic and public intellectual; much missed, but a continuing inspiration and influence. My own story is a personal aside which demonstrates what this meant over the space of an individual academic career. As a graduate student in 1968, I joined the Centre for Contemporary Cultural Studies, then under the direction of Richard Hoggart and Stuart Hall. My thesis was on Literary Stylistics and Cultural Studies. This was an MA thesis — the first to be awarded by the Centre — at a time when the fledgling area of Cultural Studies was not yet deemed worthy of awarding PhDs by the University authorities. Williams acted as external examiner, and thought it deserved a PhD. But before I learned this, from Richard Hoggart some years later, I was most of all concerned to get a job. In the job interview that mattered, at Thames Polytechnic, there was talk of a new course titled "The Making of Modern Society" in which literary texts were to be understood in relation to historical and political events. Williams’ work, I was assured, had helped inform the concept of the course. His thinking proved too to be a strong presence in the broader intellectual ethos of the School, particularly in a developing, vibrant working relation between staff in History and English — of which a key outcome was the collectively edited journal Literature and History started in 1975. The interdisciplinary approach this encouraged fed into debates on the concepts of "English" and the role of "Theory" which marked the 1970s and beyond. If Williams’ earlier work had helped shape the curriculum and interdisciplinary ethos I’ve described, his later Marxism and Literature gave a more polemical impetus to the critique of the "canon" and "literature." Williams was a presence, on occasion, a live presence, in the many new journals and conferences that characterised these years. For me, the "key words" in all this — along with many others, notably, "structures of feeling," hegemony’ and "many socialisms" — were :modernism" and "modernity." Williams’ essay "The Metropolis and the Emergence of Modernism" (1985) proved a major text which I was to return to it again and again in my own writing on questions of periodisation and the metropolitan centres of modernism. "Postmodernism" which occupied many of us in the 1980s proved to have a shorter life span than modernism itself — which was perhaps no surprise to Williams himself. In the new century I was proud to join the editorial team determined to revive the journal Key Words, and to act between 2005-2010 as Chair of the Raymond Williams Society. In my own academic work, the set of volumes of which I was lead editor, A Critical and Cultural History of Modernist Magazines (2012-2015), has Williams written all over it. And virtually the last published essay I wrote was devoted to his The Politics of Modernism. Williams, as is clear, and I would be pleased to say, considerably shaped my intellectual and political life. Peter Brooker is Emeritus Professor at the University of Nottingham. He has published extensively on aspects of modernism and his 1988 book Bertolt Brecht: Dialectics, Poetry, Politics was re-issued by Routledge in 2017.